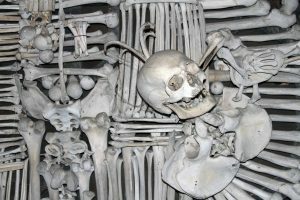 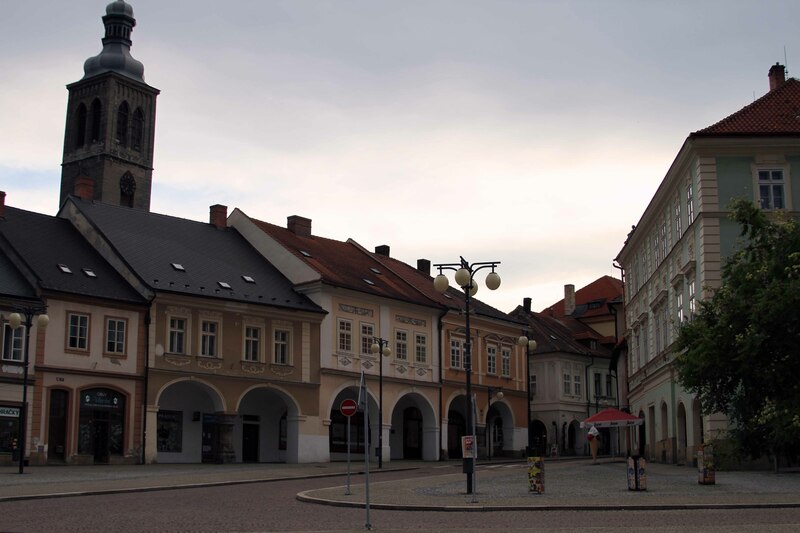 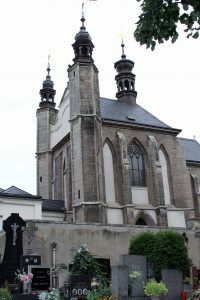 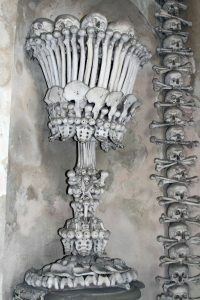 I visited Kutná Hora (primarily to see the Sedlec Ossuary) from 16-17 August in 2010 and what follows are some of the photographs I took while I was there. 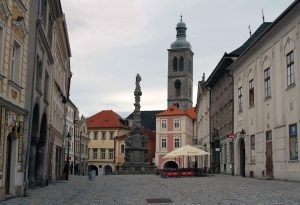 The Marian Column on Šultysova street in Kutná Hora. 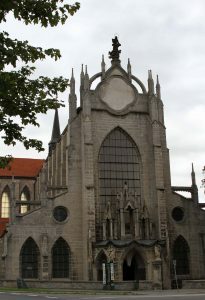 St. Barbara’s Church in Kutná Hora. The Church of St. James, seen from St. Barbara’s Church. St. Barbara’s Church at night. The Chapel of All Saints in Kutná Hora; underneath is the Sedlec Ossuary. 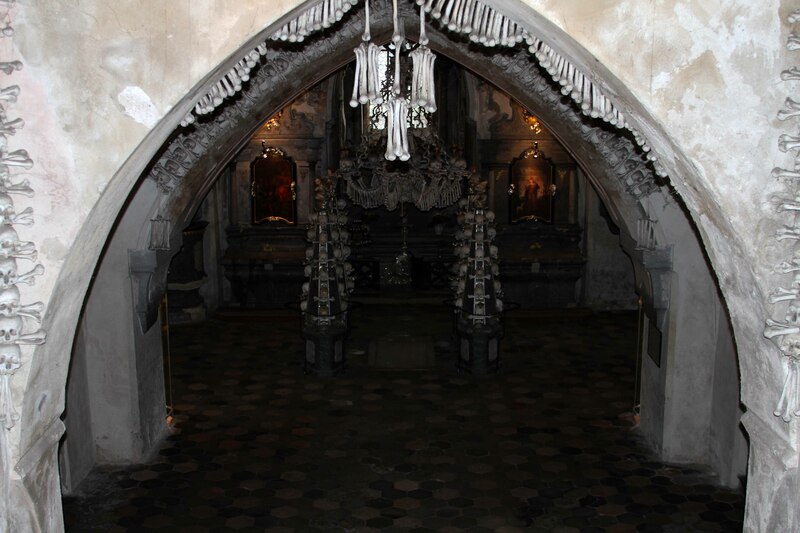 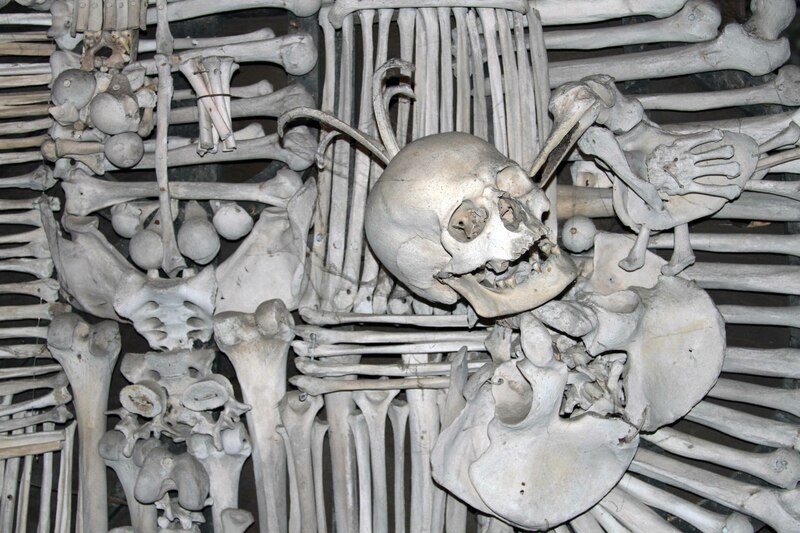 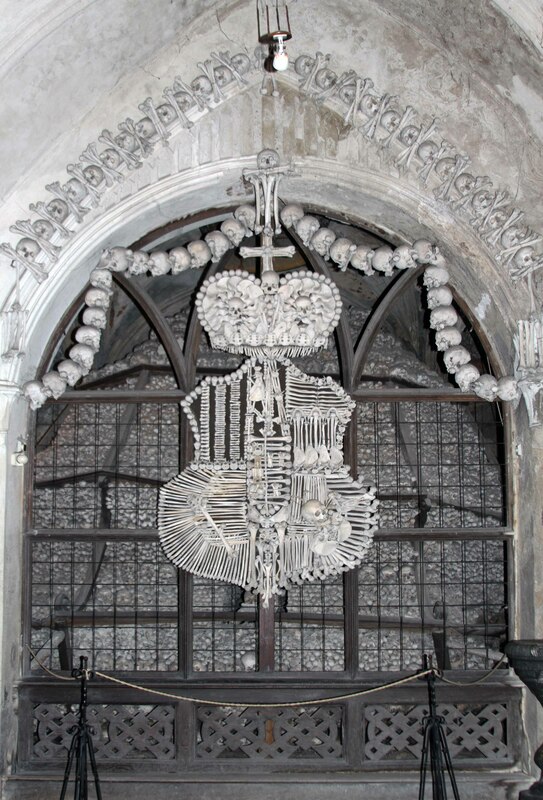 Inside the Sedlec Ossuary, which is estimated to contain the skeletons of 40,000-70,000 people. 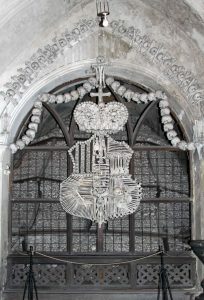 The Schwarzenberg coat-of-arms made with human bones. 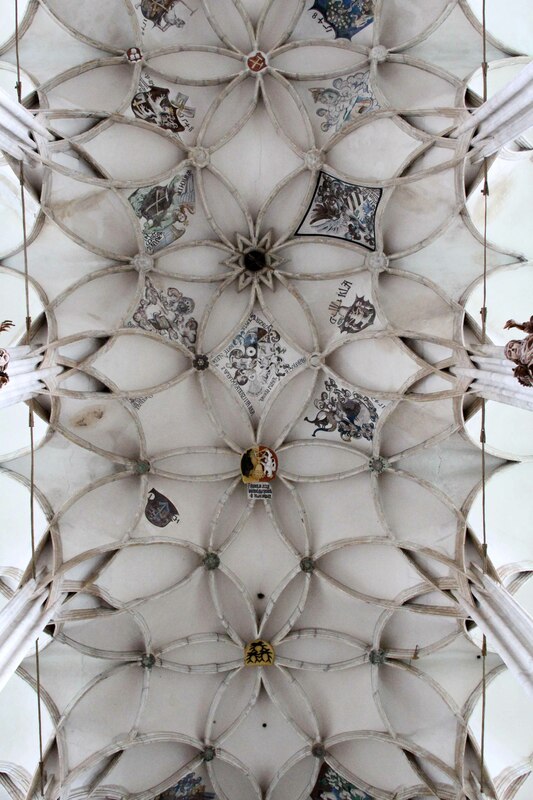 Closeup of the Schwarzenberg coat-of-arms with a depiction of a bird pecking out a person’s eye. 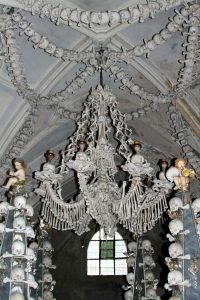 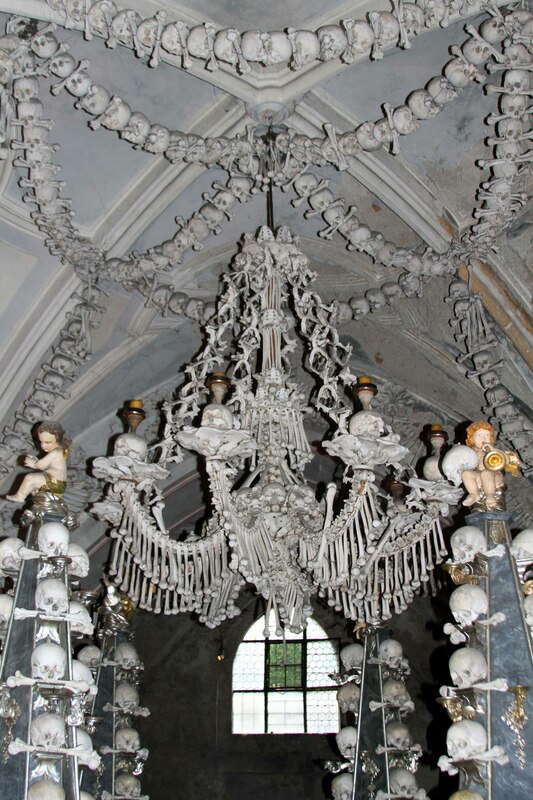 Chandelier made from skulls and bones. 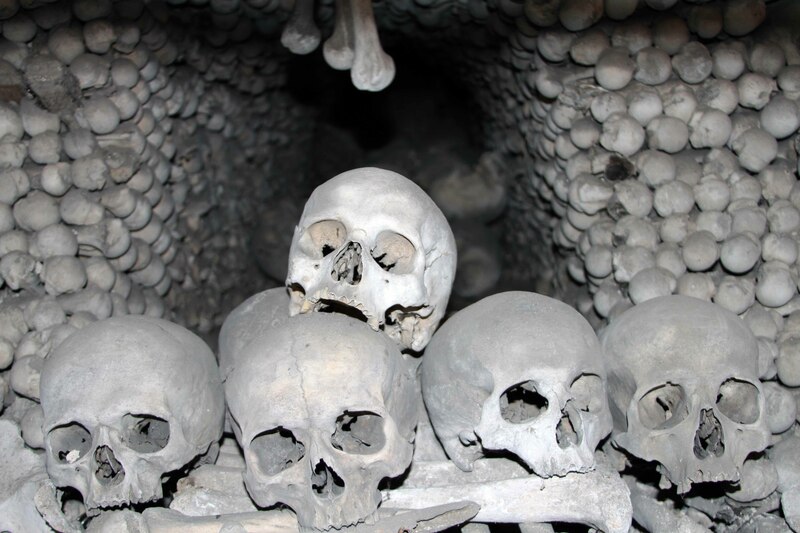 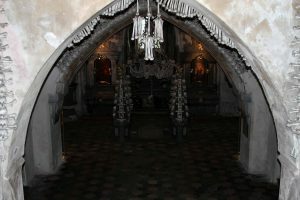 Skulls and piles of bones inside the ossuary – the bones were put together in their present state by František Rint, a woodcarver, in the late 19th-century AD. 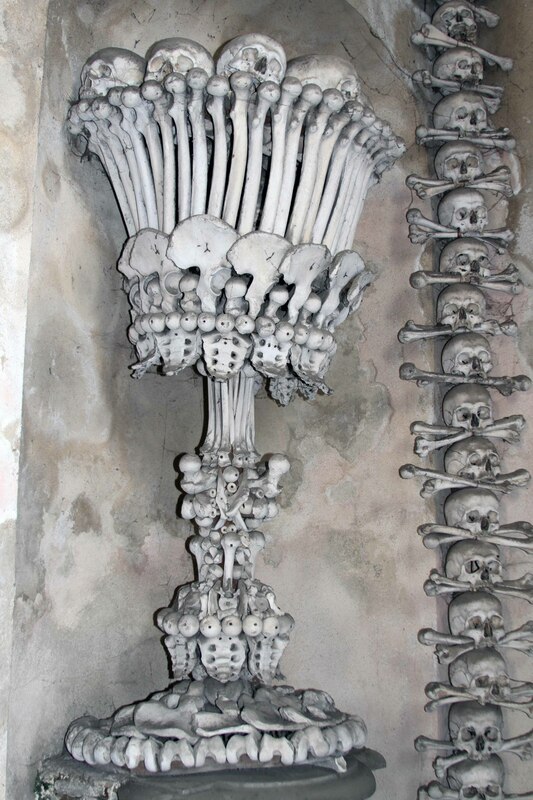 A large decorative goblet inside the Sedlec Ossuary. 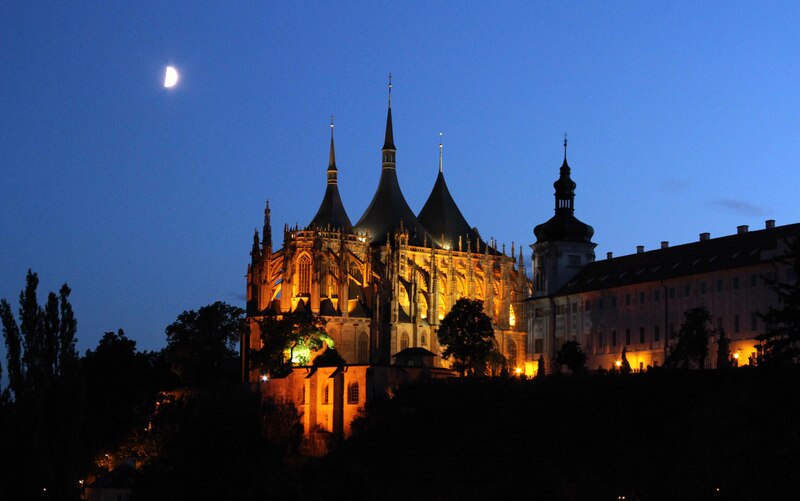 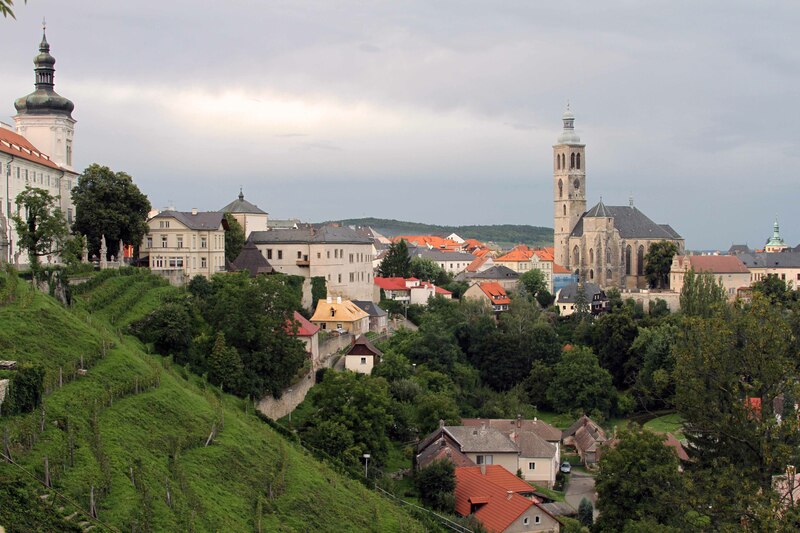 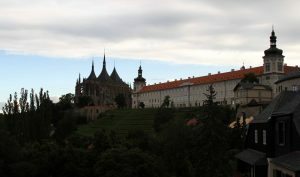 The Church of the Assumption of Our Lady and Saint John the Baptist in Kutná Hora. 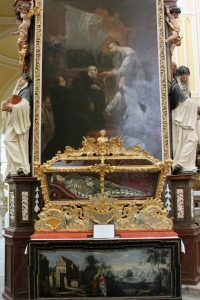 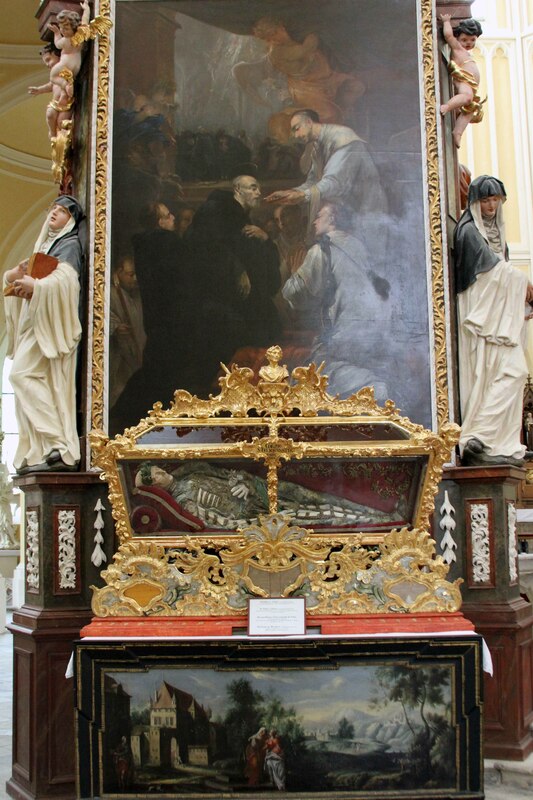 The relics of Saint Felix on display inside the Church of the Assumption of Our Lady and Saint John the Baptist. 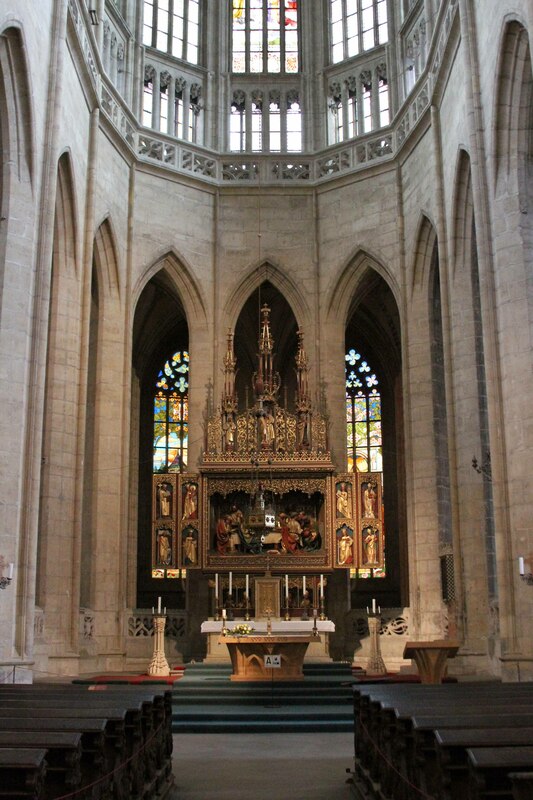 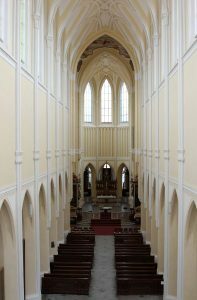 The interior of the Church of the Assumption of Our Lady and Saint John the Baptist. 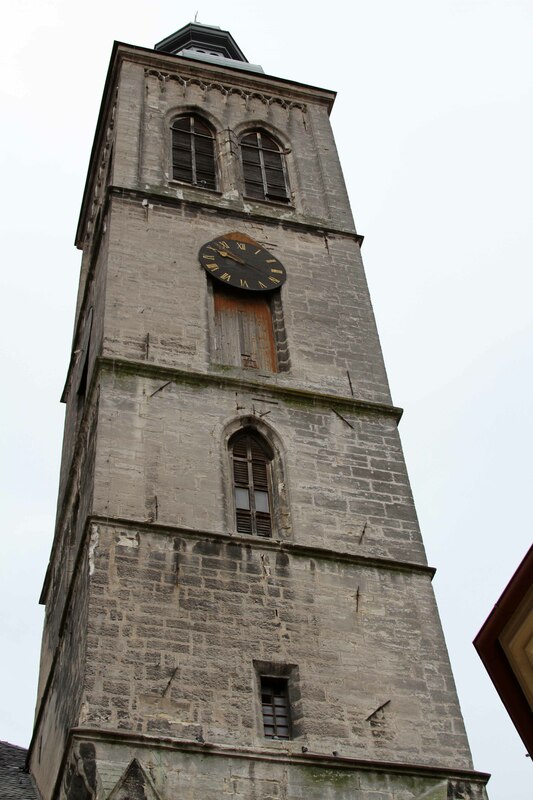 The bell tower of the Church of St. James. The altar inside St. Barbara’s Church. 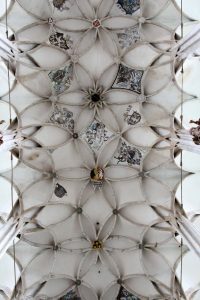 The ceiling in St. Barbara’s Church. 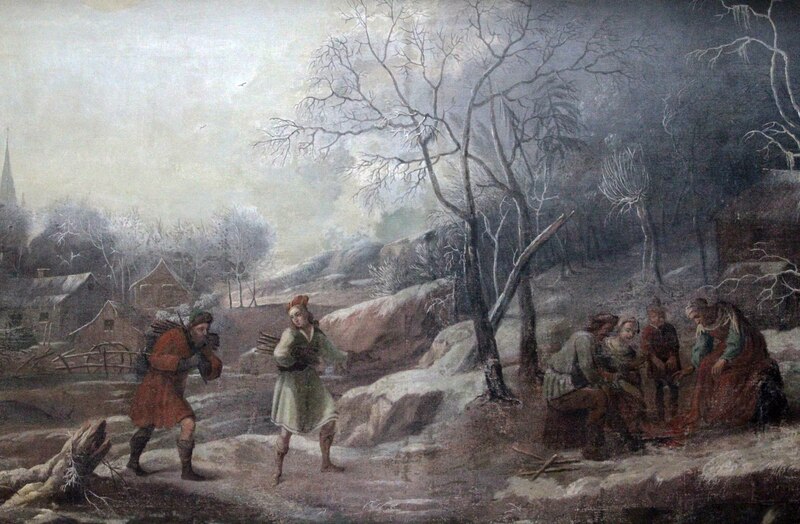 Painting inside St. Barbara’s Church. 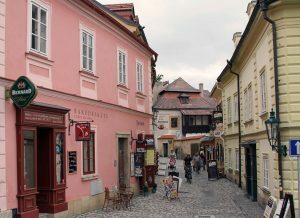 Barborska street in Kutná Hora. 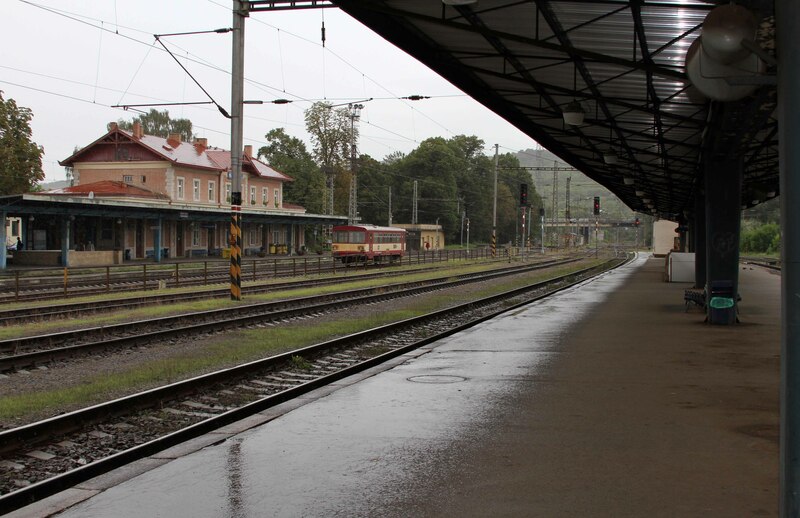 The railway station at Kutná Hora.